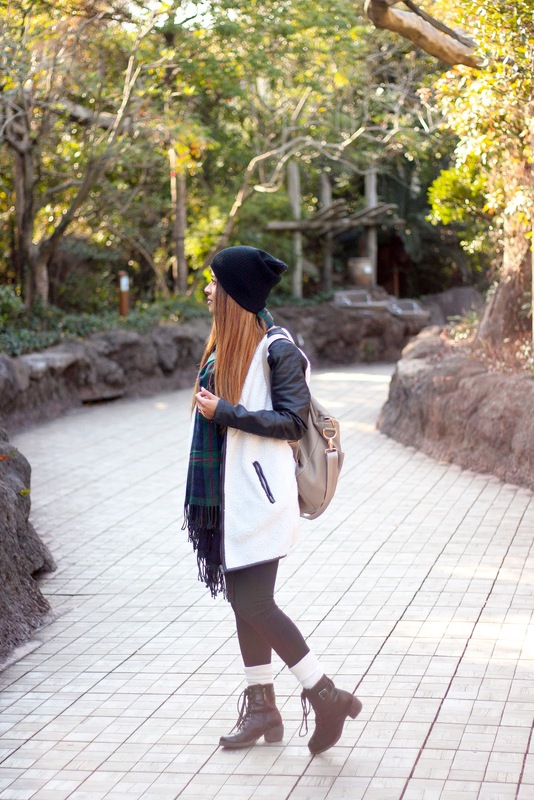 These outfit photos were taken on the first day we took Tokyo on our own! No tour guide, no translator, just us and our smart phones (thank goodness). 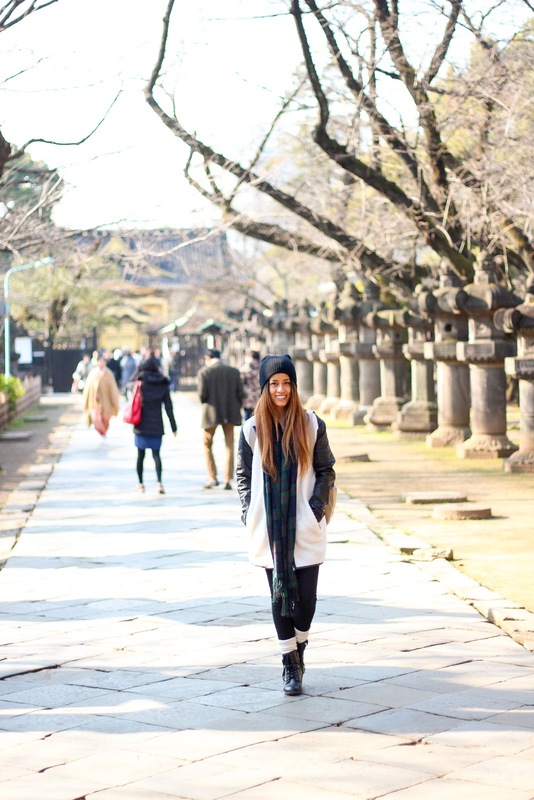 We spent the day exploring Ueno, Shibuya, and Odaiba and it was soooo incredibly fun! Something about being able to navigate around in a foreign country is so empowering--as cheesy as it may sound. I'm already getting Japan withdrawals! 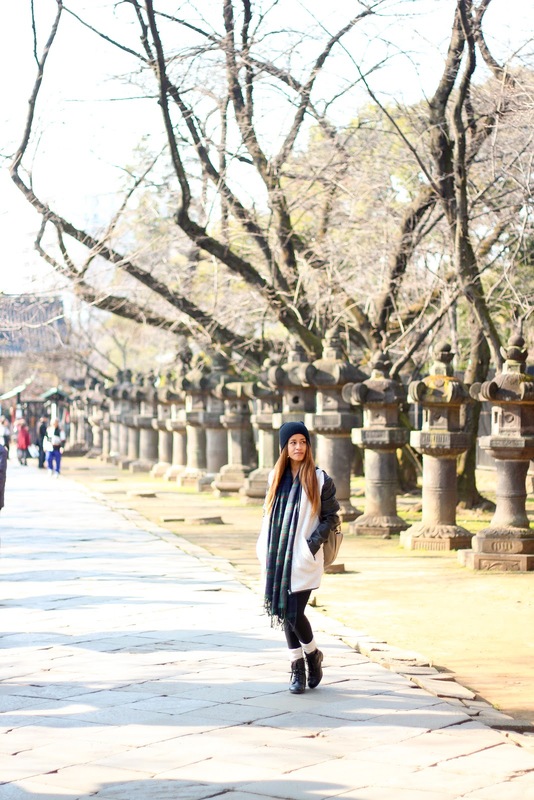 I took these pictures in a couple different parts of Ueno Park because everywhere was so dang pretty! I kept seeing places I wanted to take pictures in--I couldn't make up my mind. The coat from Windsor kept me so warm and comfy throughout the day! I love the combo of the sherpa and faux leather materials--I think it gives it such a fun vibe. Windsor has a ton of awesome coats for these last final weeks of winter, as well as a sweet collection of new spring arrivals for those of you already preppin' for warmer weather! You should definitely check them out (if you haven't already). 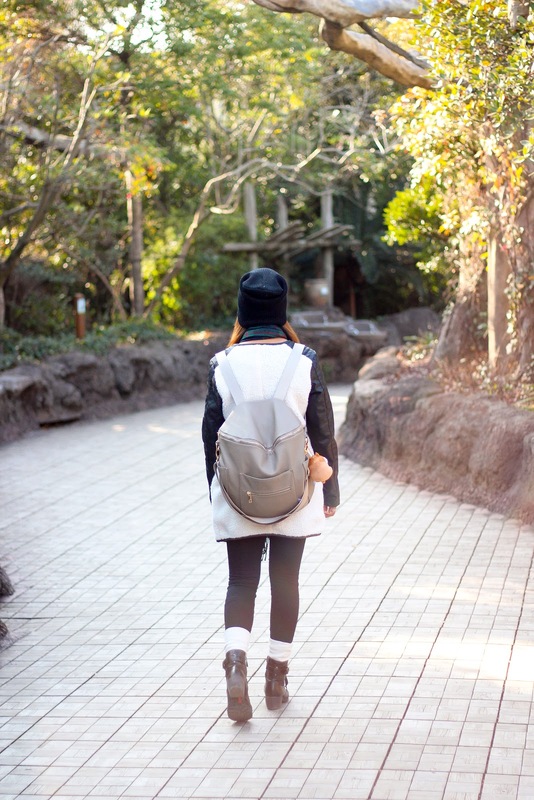 Also, you'll be seeing A LOT of this Fawn Design bag in my Japan posts because I literally took this baby everywhere we went. It was SO perfect for day-traveling because it was big enough to hold all my essentials, but small enough that it wasn't bulky and didn't weigh me down! Fawn Design bags are so insanely cute and chic--I can't get enough of them! More Japan posts to come, stay tuned! ps. Watch the VLOG from this day's adventure! We ride swan boats, hang out with a panda, and view Tokyo from a humongo ferris wheel.